The Lord is my Shepherd ... Learn about trusting in the Lord with this christian based activity. 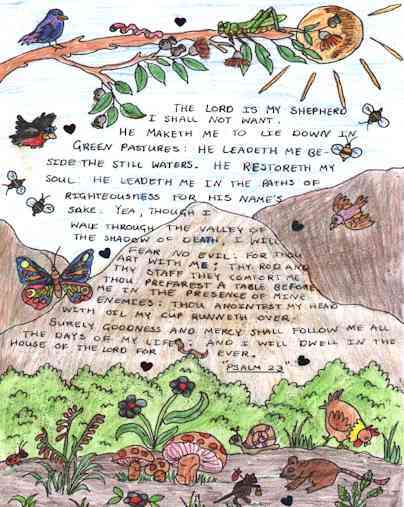 Students were encouraged to memorize Psalm 23. To aid with this, one students drew a lovely poster and wrote Psalm 23 on it and displayed it on the wall.